If you care at all about your body and health, I’m sure you already know to avoid the obvious sugary cereals like the flakes with sugar frosting, the fruity sugar cereals with artificial colours, the frosted wheat bisquits, or the marshmallow cereals that so many parents are poisoning their kids with these days. However, even most breakfast cereals that aren’t frosted in sugar are marketed heavily as “heart healthy”, “rich in fibre”, and “a good source vitamins & minerals”… Unfortunately, nothing could be further from the truth! One of the WORST things about most cereals, even so-called “whole grain” cereals is that they ALL cause a significant spike in your blood sugar (regardless of whether they are wheat, rice, or corn based) to dangerously high levels, which results in a cascade of fat storing hormones to be released in your body, and causes more carb cravings later in the day. 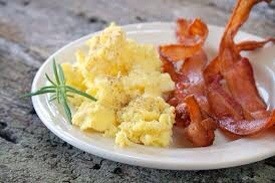 This is NOT the way to start your day if you care about your waistline or how much belly fat you have. 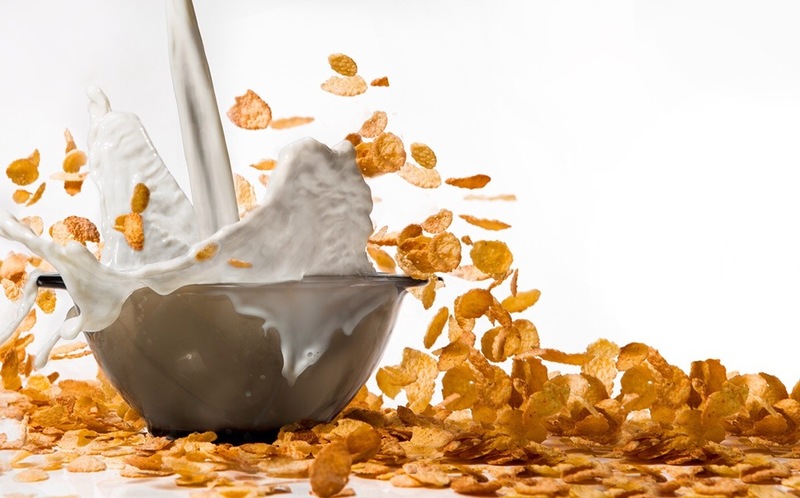 In fact, even cereals that have added fibre (such as bran flakes or raisin bran) have been found to cause just as much of a massive spike in blood sugar as the low-fibre cereals such as rice or corn based cereals. Remember that the starches in wheat, corn, or a bowl of rice cereal break down quickly in your body into SUGAR and immediately do as much harm to your blood sugar regulation system as if you ate 40-60 grams of pure corn syrup or pure table sugar. Those massive spikes in your blood sugar essentially damage the cells in your body through a process called glycation, which accelerates the rate of aging in your joints, skin, organs, and even your brain. Ouch… That tiger on the cereal commercials is never going to warn you about that! And speaking of hormones, another effect of high blood sugar is that it blunts the ability of your body to release growth hormone (aka, the youth hormone), so if you want to look and feel younger, cereals are NOT helping you in that department! Note: Regarding the claims that cereals are a “good source of vitamins and minerals”, this is actually FALSE… The majority of vitamins and minerals in most cereals are not naturally occurring, but rather, are synthetically added vitamins, which have been proven to be less absorbed than natural vitamins and potentially even harmful in some cases. As an example, synthetic vitamin E is shown in some studies to be harmful to us, while natural vitamin E is beneficial. Crunching your way to Diabetes and belly fat every morning? The more cereal you eat, the more you constantly stress your pancreas and other organs involved in controlling your blood sugar. Insulin levels surge every day to try to control your massive blood sugar attacks from all that cereal, and eventually, your insulin sensitivity suffers, leading many people to type 2 Diabetes, and a life of injecting insulin with needles and stabbing your fingers every day for blood tests 3-5x every day of your life. Not only that, but causing high insulin levels in your body every morning by eating cereal also triggers your body to STORE body fat. So if you want to be lean, cereal is directly going against your goal, and only making you fatter! 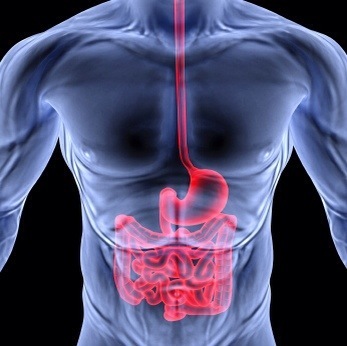 Gut Inflammation and even gut damage? Any cereals with wheat ingredients in them can possibly cause gut inflammation and long term gut damage from too much gluten and lectins, even if you’re not officially gluten intolerant or gluten sensitive. Think those corn-based cereals are better than wheat? Think again! Corn-based cereals are almost always made with GMO corn, which has many scientists very concerned about long term health threats, since there are no long term studies on the effects of GMO corn to your health, as well as your children’s health. And rice-based cereals (krispies, etc) aren’t much better, as they cause just as high of a blood sugar spike as pure table sugar… Ouch! The blood sugar spike and subsequent insulin surge from your morning cereal makes your body to try to get all that sugar out of your blood and into cells (usually fat cells), and that causes a big drop in your blood sugar hours later. This makes you CRAVE more carb-based or sugary foods later in the day. The result of this is a constant wild roller coaster ride of blood sugar and insulin all day long, leading you to eat more calories in any given day. 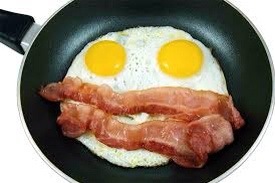 I recently read a study about people that ate egg-based breakfasts vs cereal-based breakfasts… Even though the people that ate egg-based breakfasts consumed far more fat in the morning, they ended up eating much less calories throughout each day because they didn’t have the wild blood sugar swings, hormone imbalances, and subsequent cravings. Egg breakfasts are proven to CONTROL your appetite, while cereal breakfasts are proven to INCREASE your appetite for more food, particularly more starchy and sugary carbs. The more carbs that you eat each day from foods such as cereal and breads, the more you train your body to rely on carbs for energy. So when your blood sugar dips again, you need more carbs again, or you’ll have a major energy slump. On the other hand, the more of your calories you get from healthy fats instead (avocados, coconut oil, grass-fed butter and cream, olive oil, nuts, seeds, eggs, and pasture-raised meats), the more you train your body to be a fat-burning machine. This is called creating a “fat adapted metabolism” and you do this by reducing your overall carb intake and simultaneously increasing your healthy fat intake. This doesn’t mean you need to go extremely low in carbs like Atkins, but just a LOT lower than the average carb addict, which is pretty much everyone eating a modern western diet. By relying mostly on healthy fats for energy instead of carbs, this balances your hormones and gives you VERY stable blood sugar levels throughout each day, allowing you to also have VERY stable energy levels throughout each day without the typical spikes and slumps in your energy that most carb addicts feel every single day. However, to give you an idea of how far off most people are… Most people currently eat a diet that is in the range of 60% carbs, 20% fat, and 20% protein. What I’m describing to you in order to create a fat adapted metabolism would be more around eating 20% carbs, 60% fat, and 20% protein. Basically, as you can see, it’s like flip-flopping the typical western diet ratios of carbs to fat. 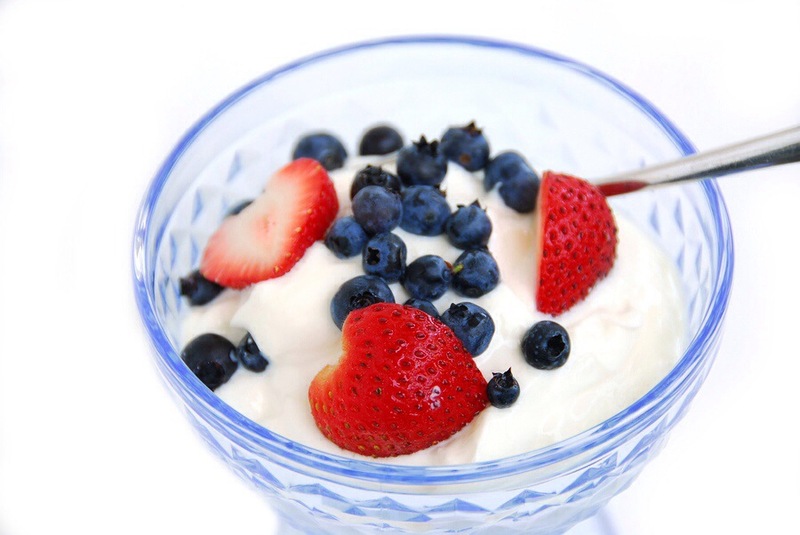 Instead of the typical cereal in the morning (that’s slowly killing you and making you fatter), try a bowl of plain greek full-fat organic yogurt (which is loaded with healthy gut probiotics, healthy fats, AND protein) and add in a handful of fresh, organic berries (or frozen wild blueberries), a handful of nuts such as either almonds or pecans (more healthy fats), and a little stevia or vanilla protein for a little added sweetness if you need it. This breakfast will leave you leaner, keep your blood sugar, energy levels, and hormones balanced for the day, and prevent cravings for more starchy and sugary carbs later in the day. Another option is simply any combination of eggs, veggies, avocado, and even organic breakfast meat if you want. 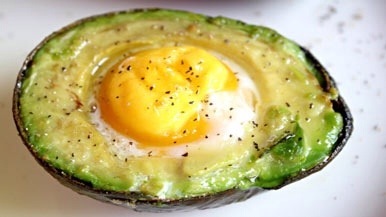 Try this favourite quick breakfast, cook up a couple eggs, and slice a half of an avocado on a plate. I chop the eggs and avocado together with some hot sauce and a couple slices of turkey, and voila… a quick 5-minute breakfast that’s incredibly delicious, yet MUCH healthier than that bowl of cereal, and will help balance your hormones for the day instead of creating hormone imbalances and energy crashes like cereal does. This article is golden! Read it and change your diet! As Addictive As Most Narcotics? There is one food – or nutrient – that could be as addictive as most street drugs. In fact, this one nutrient is found in many of the food products you eat every day. But, I have some great news for you! There are all-natural sweeteners that could sweeten many of the foods you eat – without the adverse side effects associated with sugar. Your brain needs sugar in order to function. But not table sugar like you would normally think of. Your brain requires glucose in order to function. And when your levels drop, your brain sends out a warning signal to your body to eat more food. Result = pretty intense cravings. However, here’s the problem with added sugar. Sugar targets the reward system in your brain. And when it’s exposed to high amounts of sugar, the reward center may become over-sensitized to sugar. This makes you crave sugar. 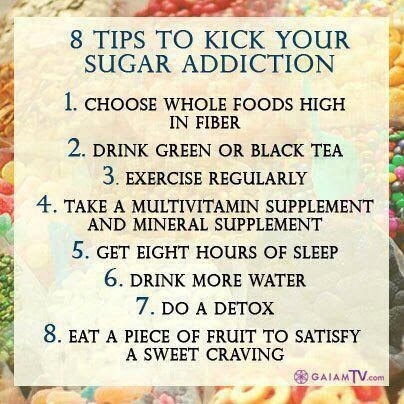 And this may mean you need more and more sugar in order to shut down the cravings and the sugar response. Well, for starters, you should reduce your intake of refined and processed carbs and any added sugar in your diet. One way to accomplish this feat is to look for more natural sweeteners. This natural sweetener – which is made from boiling down the sap of coconut flower buds cut from coconut leaves – is a great substitute for your sweet tooth. 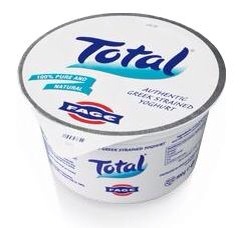 Not only does it contain far less sucrose than regular table sugar, it is also lower on the glycemic index. That means there may not be such a sharp increase in blood sugar or insulin released by your body. Those bees sure are busy little buggers! Raw honey – not the boiled down and refined type – is chock full of potent minerals that hold tons of benefits for your health. Plus, raw honey possesses many anti-bacterial and anti-microbial benefits, which places honey way up there in terms of healthy nutrition. Not only that, but honey is low in fructose, which makes it a great sweetener for a number of different foods. This common sweetener is extracted from the leaves of the stevia plant. Stevia may be 200 times sweetener than sugar, but it possesses some pretty impressive health benefits. Stevia has been shown to have anti-glycemic, anti-hypertensive, and anti-inflammatory properties. It could be one of the most widely used sweeteners around. I hate to tell you this, but sugar is extremely addictive. So addictive in fact, that many people experience very intense cravings when their blood sugar levels drop low enough. 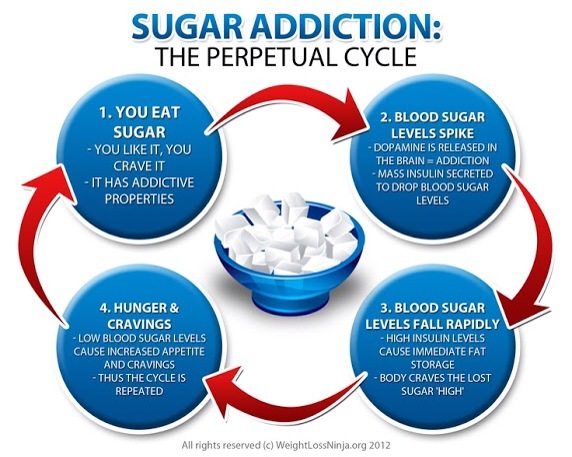 One reason for this is due to sugars ability to stimulate the reward system in your brain. And this overstimulate may make you need more sugar just to quiet your cravings. And this may be why most people turn to artificial sweeteners in order to satisfy their sweet tooth, without adding calories to their waistline. This has brought about the boom in artificial and natural sweetener. If you’re looking to curb your sugar cravings, then you should turn to the three natural sweeteners from above. It could just save your life and protect your health in the process! Eat Clean. Train Smart. Expect Results! For years we have been told that a low-fat diet, and in particular the avoidance of saturated fats, will reduce the risks of both type 2 diabetes and its most important complication, heart disease. 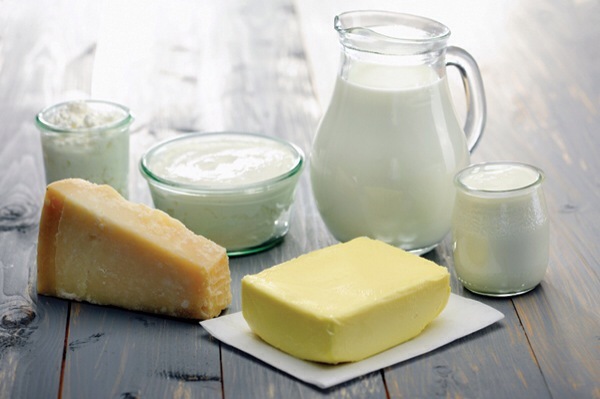 But recent research has shown that not all saturated fats are equal and that those in dairy products could actually help to prevent type 2 diabetes. A new study at the University of Cambridge examined the relationship between blood levels of nine different saturated fatty acids and the risk of developing type 2 diabetes in later life.1 From an analysis of data on 340,234 European adults, 12,403 of whom developed type 2 diabetes, they found that one group of saturated fatty acids was associated with a lower risk of this condition, while other saturated fatty acids were associated with a higher risk. The simple egg is a neat nutritional powerhouse that has been called ‘nature’s multivitamin’ because they’re packed with antioxidants, vitamins, minerals and healthy fats, and it’s all stored in one very convenient package. Here are five reasons why you should be eating more eggs. 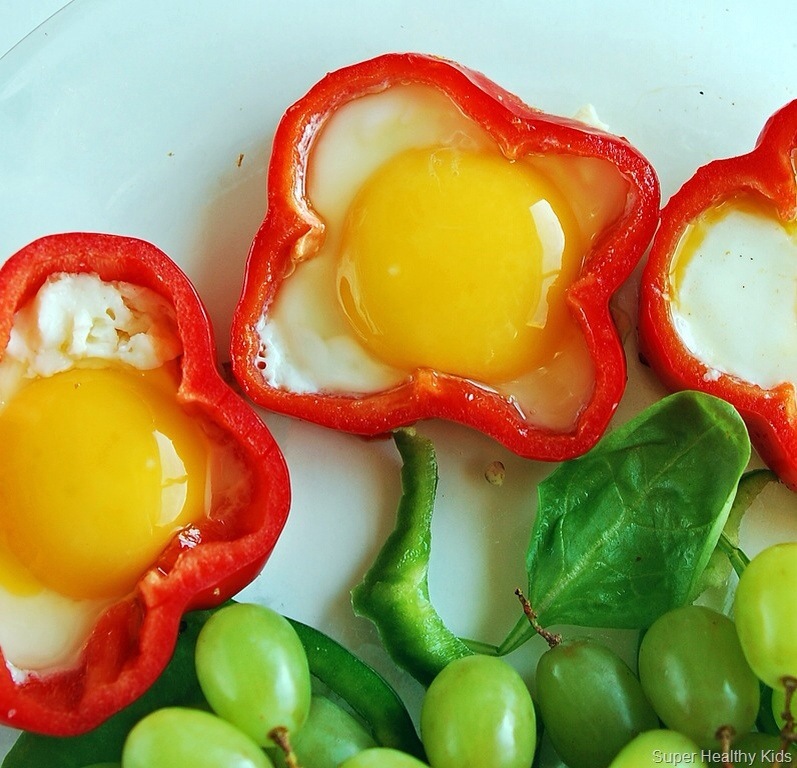 Eggs are very high in protein meaning that they help you stay full for longer. A study in the International Journal of Obesity revealed that overweight adults who ate two eggs for breakfast went on to eat fewer calories throughout the day, compared to those who ate the same amount of calories in bagels. 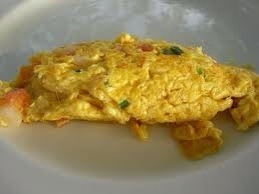 Eating eggs for breakfast will ward off those hunger pangs until it’s time for lunch. Vitamin D is vital for all of us and has many benefits including cancer prevention, developing healthy bones and even improving your mood. We tend to rely on the sunshine for vitamin D, but the UK weather means that 50% of us sun-starved island dwellers could be deficient. Eggs are one of the only food sources of vitamin D, making them nutritional sunshine. Eggs are packed with keratin, a protein that makes up 70% of your hair, and is vital for the growth and repair of every cell in your body. Keratin helps your hair and nails grow strong and healthy, and helps to keep you looking young and beautiful. You don’t just have to eat your eggs to benefit either – putting egg directly onto your hair can help repair and condition it. As we age, our brains start to shrink which is a phenomenon known as brain atrophy and can be a precursor to Alzheimer’s disease. 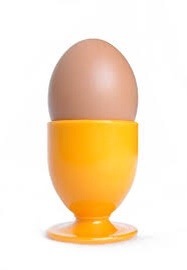 Eggs are full of vitamin B12 and lecithin, which can fight brain atrophy. The yolk is full of choline, a nutrient that makes acetylcholine, a messenger that communicates between the brains and the nerves, and is also great for your memory. Selenium, folate, pantothenic acid, vitamins B12, A, E and D, iodine, phosphorous, iron, thiamine, zinc, lutein, zeaxanthin: this list of good stuff in eggs is almost endless, as is the variety of ways to cook them. Whether they’re boiled, poached, fried, scrambled, steamed, baked, in an omelette, in a quiche or you’re brave enough to eat them raw, eggs are perfect at any time of the day. Our favourite tip is to keep a few hard-boiled eggs in the fridge – perfect post-workout or when you need an emergency snack. Eat Clean. Live Well. Feel Great. 12 Tips to Reduce or Avoid Dementia and Alzheimer symptoms…. 2. Sufficient vitamin D is also imperative for the proper functioning of your immune system to combat excessive inflammation, and, as mentioned earlier, other research has discovered that people with Alzheimer’s tend to have higher levels of inflammation in their brains. 3. Fructose. Ideally it is important to keep your level below 25 grams per day. This toxic influence is serving as an important regulator of brain toxicity. Since the average person is exceeding this recommendation by 300% this is a pervasive and serious issue. I view this as the MOST important step you can take. Additionally, when your liver is busy processing fructose (which your liver turns into fat), it severely hampers its ability to make cholesterol. This is yet another important facet that explains how and why excessive fructose consumption is so detrimental to your health. 4. Keep your fasting insulin levels below 3. This is indirectly related to fructose, as it will clearly lead to insulin resistance. 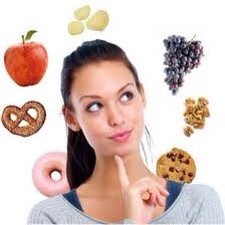 However other sugars, grains and lack of exercise are also factors here.